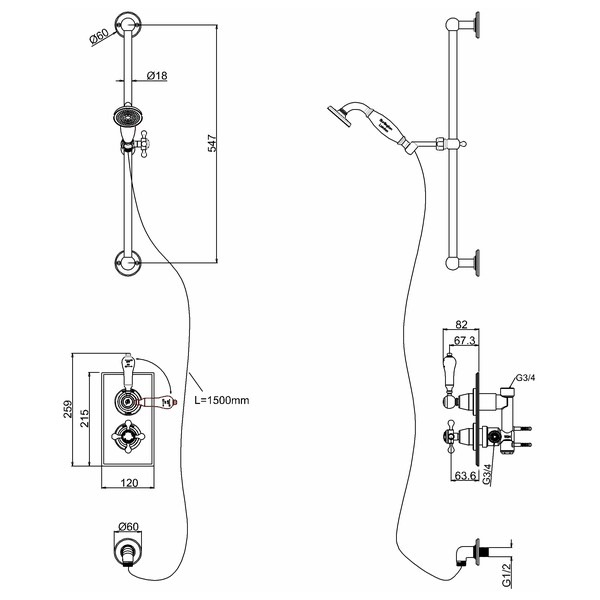 The Burlington Trent Thermostatic Concealed Shower Valve with Slide Rail Kit is a comprehensive shower package with function and versatility. 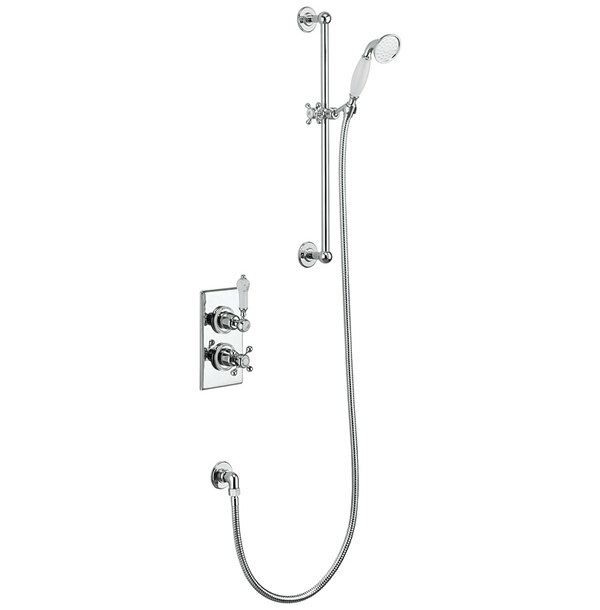 It has a fully thermostatic control system, ensuring that the shower temperature remains at a safe level and will cut out in the event of loss of cold water to prevent scalding. Consisting of separate pressure and temperature controls in ceramic lever and Claremont handle style, affixed to a mounting brass faceplate, this valve is the ideal piece for use within the bathroom inspired by the early twentieth-century design. The chrome finish elevates the vintage style and gives it a touch of class and sophistication. 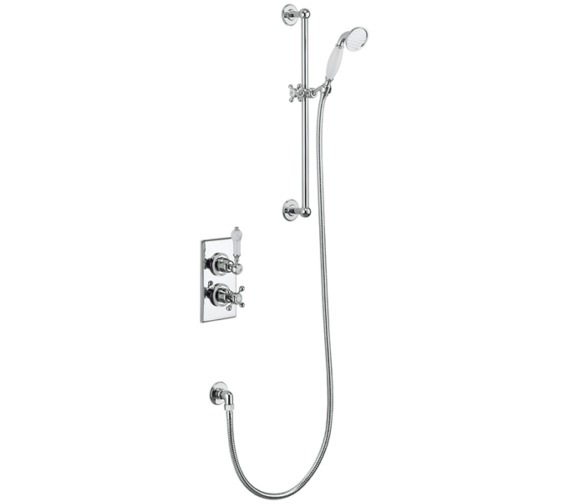 The package includes a slide rail with elbow, handset, and hose to provide a relaxing and comfortable experience.